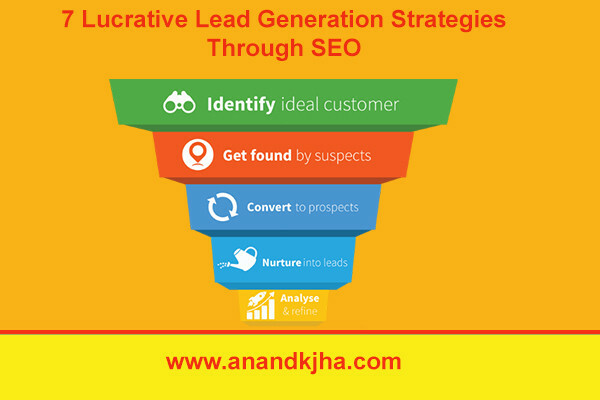 Lead generation is a method to build interest and inquiries related to product and service. These leads can be used later for bringing sales. In this process of digital marketing, a user is converted into a customer or buyer. Lead generation is a million dollar industry. Search engine optimization plays a vital role in the profitable lead generation these days. Search engine optimization plays a vital role in the profitable lead generation these days. Today, I am going to answer these following questions related to lead generation. How this lead generation process goes on? Why is lead generation the best way to bring sales anytime? How to boost leads on the website using search engine optimization? Starting with the lead generation process. Under lead generation process we add a simple form on a landing page for signup with appealing lines and the strong call to action button. This form consists of simple queries like user first name, last name, email, address, contact number, website etc..
You can see the example in below image. In these images, you can see how users are appealed for sign ups. These landing pages optimized well to convert users into a lead. Somewhere like Just Dial company website they only ask for a contact number and later their customer support contact to fill rest of form with their business information. Just Dial company website is the best example of lead generation business. Moving on to how SEO helps in lead generation and why it’s profitable. SEO or search engine optimization is a free method to get customers and buyers from the biggest search engine like Google etc.. If you hire an SEO expert for lead generation process for your company website, then it is a most profitable way to get leads. This is profitable because you have not invested too much and return on leads are very high. An SEO expert follows the guidelines of search engines and uses tactics to optimize landing pages. Here I have listed some best tactics to optimize landing page under lead generation with SEO. Choosing right keywords are critical for search engine optimization and lead generation with SEO. You have to know and target on those keywords where competition is low and searches are good at least more than 100 in the month. You can use free keyword research tools like Google Adwords keyword planner, SEMrush, and keyword spy. You can use free keyword research tools like Google Adwords keyword planner, SEMrush, and keyword spy. 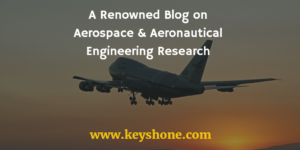 You can read this post on keyword research. The majority of internet users are mobile users. You need to make your landing pages mobile friendly. How to check mobile friendly pages correctly? A mobile friendly landing page brings more conversions than not the mobile friendly landing page. Always check your mobile friendly on Google mobile-friendly test. This is the best tool with suggestions. Create AMP pages and mobile pages like m.facebook.com, m.sbionline.com etc.. If you will delight users then Google will give you the higher ranking. Keep optimizing your landing page speed because page speed affects a lot of your online conversions. Use tools like Google page speed insights and GTmetrix for speed test with recommendations. Add a strong call to action button above the fold of landing pages. A strong CTA button brings 65% more conversions on the landing page. Do A/B test for the testing color of CTA buttons. We like to buy something when we found something worthy or beneficial. Describing the benefits of product and services in points bring more leads as compared to without benefits. Check this attached image for an idea of benefits of product and services on the landing page. Yes, this is also important. Add testimonials and good reviews of your happy users and clients those appreciated your work. Add your company address, contact number, contact email, toll-free number etc..
Add a number of followers, users, clients and buyers of your product on the landing page. You can add your FB followers, Twitter followers, and users till now. Search engine optimization is the best way or source to bring leads on the website. Follow your best competitors in the lead generation process. Do everything for lead generation because this is a million dollar industry tool. Ask an expert for help, if you needed. I hope you found this post helpful if so don’t forget to share it with your friends on social media.